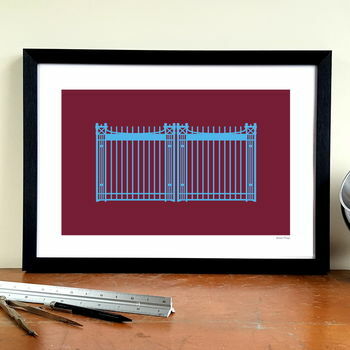 Boleyn Ground "John Lyall Gates" - A unique piece of art or gift for any discerning fan of West Ham and/or minimalist design. 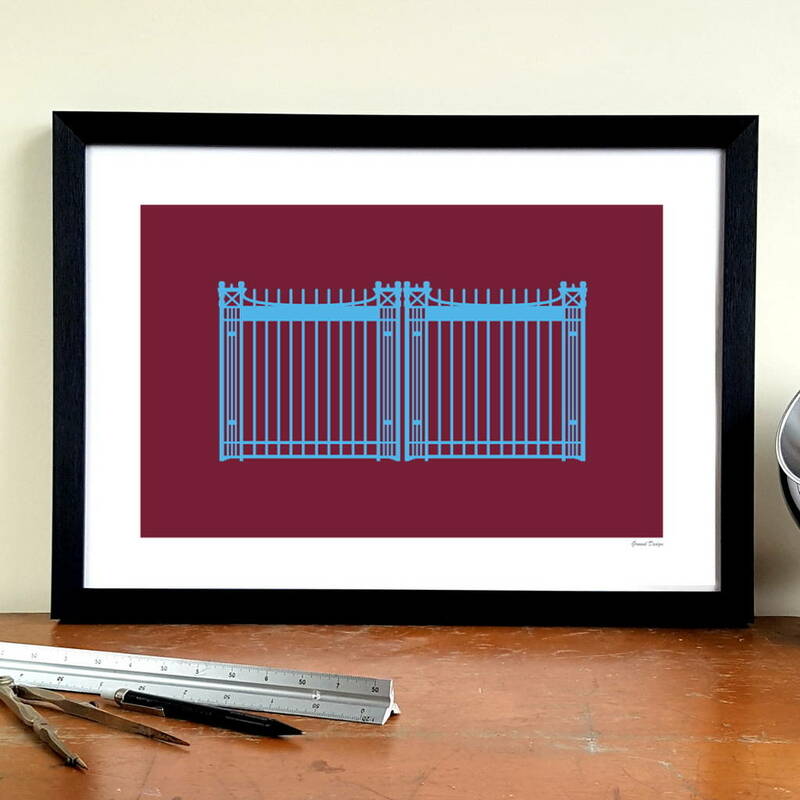 The Boleyn Ground (or Upton Park) was West Ham's home from 1904 to 2016, and for many fans it remains where their heart is. 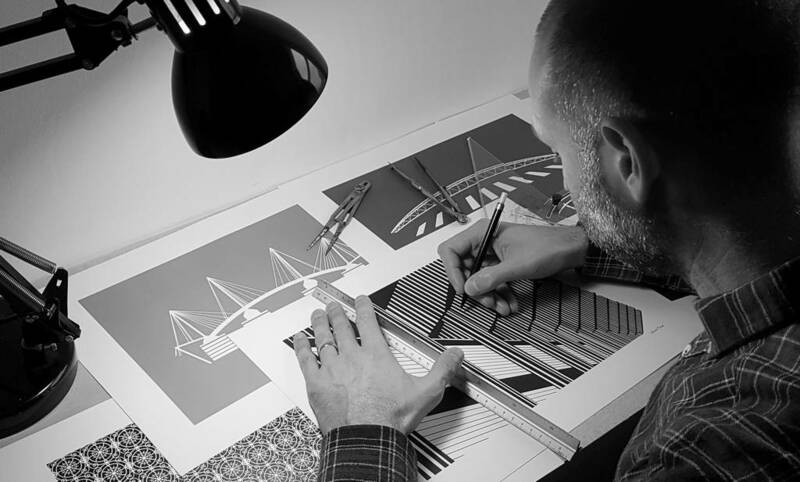 A proper football "ground", with a tight atmosphere inside and out, it was a major part of the Hammers' identity for generations, and the emotional fallout from leaving it is still being felt by many. 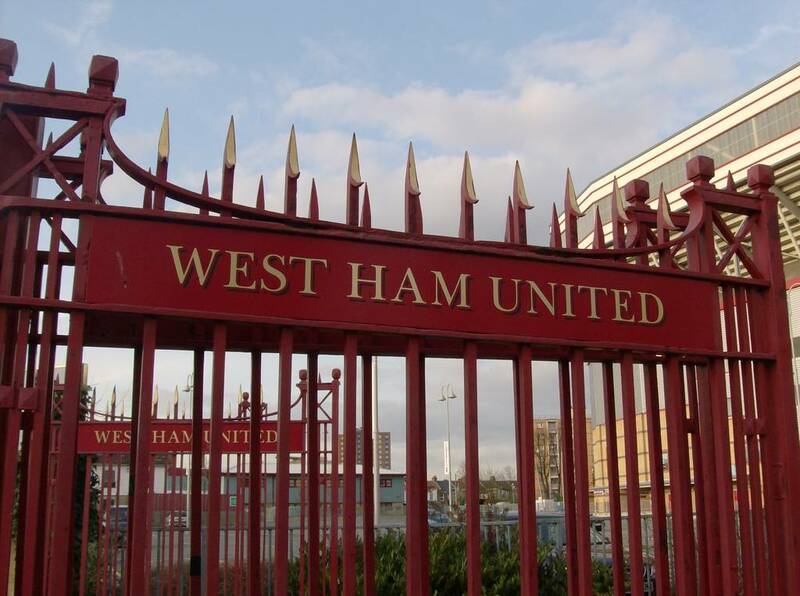 One of the ground's oldest and most distinctive features could be found outside the main entrance on Green Street - a pair of wrought-iron gates erected in 1956, which were renamed after legendary manager John Lyall in 2009 following his death three years earlier. 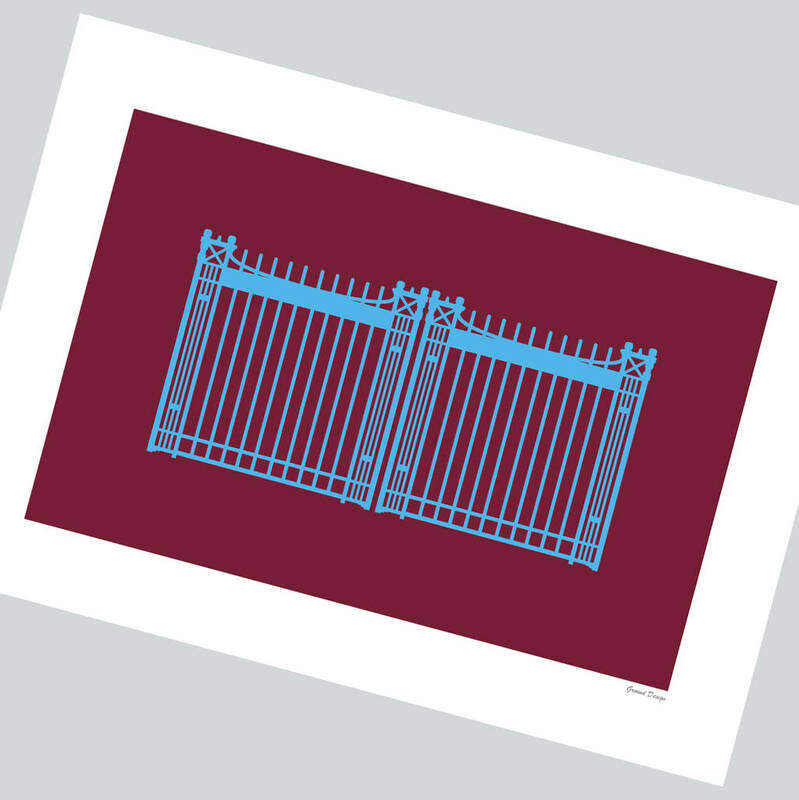 I have recreated these famous gates here in a minimalist style in West Ham colours - a unique gift or piece of art for homesick Hammers worldwide.